The earliest forms of phlebotomy can be traced all the way back to the ancient Egyptian civilization, and ancient Greek and Roman cultures. Back in ancient times, the removal of blood from the body was less of a science than a way of supposedly ridding the body of “evil spirits” or illnesses. Draining blood, in ancient times, was considered one way to effectively cure the body of most ills, and was often performed using a lancet tool. In 1163, Pope Alexander III prohibited clergyman from performing these bloodlettings, so barbers took over as they were naturally skilled with sharp objects. Barber-surgeons, as they were called, also performed various other health related tasks such as treating wounds and bone setting. The red and white barber poles you still see today are, in fact, a symbol of the bloodletting procedures they would often perform. The red symbolizes the blood and the white is a symbol of the bandages used to stop the bleeding. The practice of “bloodletting” was introduced to the United States by the Pilgrims during the 18th century. They would normally drain one to four pints of blood from the patient during a bloodletting procedure, until the patient began to feel faint. This was a risky procedure,as we know today, in which far too much blood was removed from the body at once. Sometimes these bloodletting procedures had fatal consequences, as with the reported case of the first President of the United States. 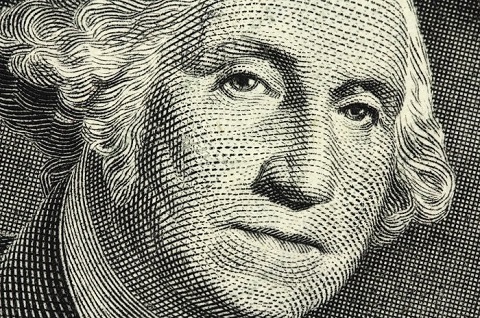 It has been reported that George Washington fell victim to a botched bloodletting procedure, after nine pints of blood were drained from him. Washington had apparently undergone the bloodletting procedure after falling ill from a severe throat infection. One could assume after hearing this, that it wasn’t the actual illness that killed him, but rather the form of treatment used to try to treat him. Several such unfortunate instances began to give bloodletting a bad reputation, making people begin to see it as a form of “quackery”. In 1685, England's King Charles II suffered a seizure. The King's 14 physisicians ended up removing 24 ounces of blood total from his arm and neck, amongst many enema's and other rememdies of the time. Unfortunately, the King grew weaker and weaker and eventually died a few days later. In today’s modern times, bloodletting is no longer practiced, except in instances of extremely rare diseases. 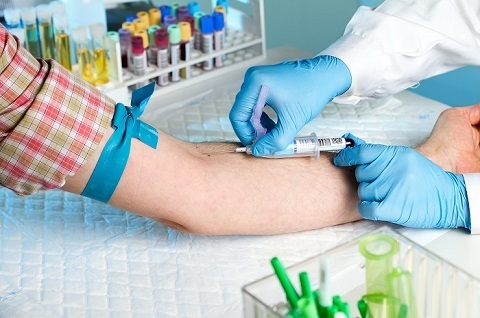 Todays’ methods of Phlebotomy are considered a science, and one must receive formal education at an accredited phlebotomy school or certification in phlebotomy in order to perform blood drawing tasks. Today, Phlebotomy procedures are only practiced in safe environments such as hospitals, doctor’s offices, and medical clinics. Back in the 5th century, B.C., in the days of the ancient Greek physician Hippocrates, the local barber shop was the place to go for everything from a haircut, to a dental procedure, even a bloodletting. That is a frightening thought to anyone today, to think of the primitive methods people were using to remove blood from the body, considering how little they truly knew about the procedures they were trying to perform. Today, phlebotomy is done using sanitary equipment and procedures to ensure the safety of the patients. Even when voluntarily donating blood today, we know to only take a minimal amount so as to not make the donor at risk for any health issues. Most phlebotomists today will only draw enough blood from the vein to ensure an adequate amount is collected for the medical testing procedure being done on the patient. With the training that phlebotomists receive these days, they can make the experience relatively painless, for the most part. The science of medical phlebotomy has certainly come a long way from the ancient Egyptian times and today is a trusted and safe procedure.